To cash in on the festivity, the world's largest handset maker, Nokia, today said it will launch new version of its flagship smartphone N97 in the Indian market by Diwali or middle of October this year. Nokia launched two music devices and a new version of N97, called the N97 Mini, during the Nokia World event here. "Though the music devices will be available in India by Q4 (2009-10), we plan to bring the N97 Mini by October in the Indian market," Nokia India Managing Director D Shivakumar said. Despite critics claiming that Nokia is not doing well in the high-end segment, Shivkumar said the company is not only doing well, the performance is beyond company's expectation in the smartphone segment. 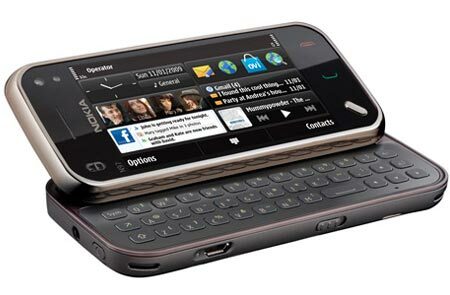 Globally, Nokia has sold about two million units of the original N97 within months of its launch. The launch of N97 was announced in the last Nokia World event and it hit the market only in June this year. Nokia has been maintaining a market share of about 40 per cent world wide and is a leader in the Indian market with handsets in low to high range in the market. Priced at about Rs 31,000 (450 euros), the N97 Mini features a tilting 3.2" touch display, QWERTY keyboard and fully customisable homescreen.